Gergana Ivanova is a hugely successful and popular fashion blogger, being the owner of the lifestyle and fashion blog ‘Fashion Is My Forte.’ She posts regular articles and gorgeous photographs showcasing the latest fashions, trends, and must-have pieces of clothing. Gergana has also grown a substantial Instagram following, where she also posts some of her latest outfits. 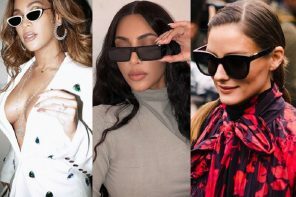 With an additional fabulous taste in eyewear, we have been seriously crushing on some of her latest sunglasses! 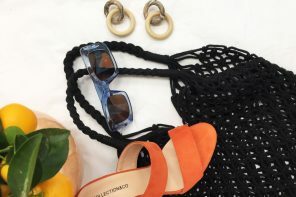 Keep reading below to find out which ones we love, and how you can steal her style. This look is absolutely stunning and incredibly elegant. The asymmetric hem on this chiffon dress adds some extra glamour and interest to the whole look and pairs well with the structured woolen coat. The black heels and black clutch bag contrast well with the rest of the outfit. Monochrome looks are so in vogue this year. Her statement sunnies make her look even more special. You can get the look with the Salvatore Ferragamo SF831S. 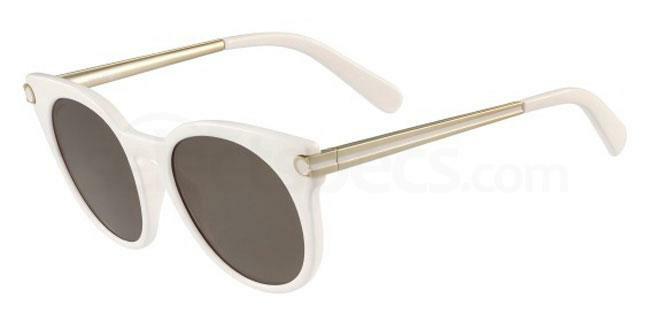 These cat-eye sunglasses have a bold white frame and silver detailing on the temples. They would be the perfect addition to any monochrome look! This is such a good look to copy for Autumn! Black skinny jeans are a classic item, and Gergana has opted for a pair of leather coated ones to give her a look a more luxurious feel. Grab a chunky knit jumper like this gorgeous cable knit one in a beautiful dusky pink colour. The heeled ankle boots dress up the look a little further and help to elongate her legs. 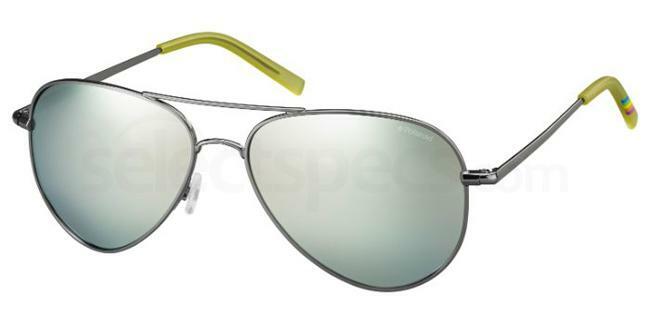 The aviator sunglasses with mirror lenses are beautiful and instantly bring a retro classic right up to date. 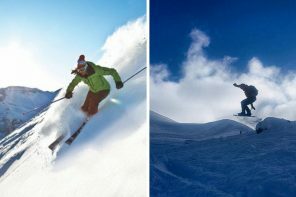 Get the look with the Polaroid PLD 6012/N. This silver framed pair features matching silver mirror lenses with a pop of yellow on the temples. This bright and fun look is quite difficult to pull off on paper, but Gergana proves just how well a bright green jumper and a purple skirt can work together! The metallic purple skirt features on-trend ruffle detailing and a cute mini length. The ribbed jumper is super flattering and features cute bows on the sleeves. A mini white clutch bag works well with the whole outfit as it is such a neutral colour. 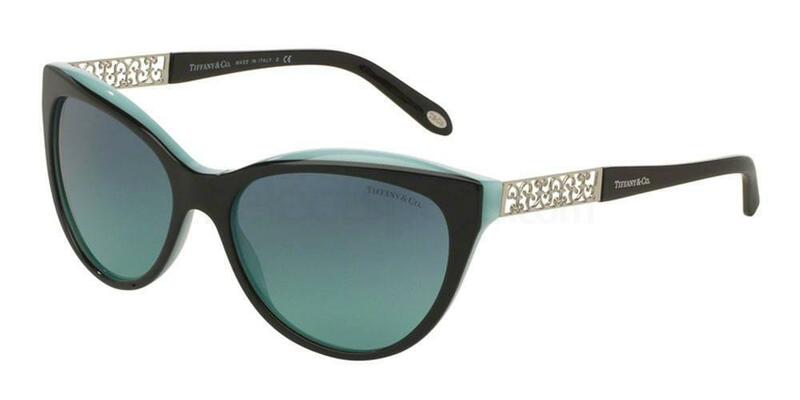 Steal her black cat-eye sunglasses with the Tiffany & Co. TF4119. We love the iconic Tiffany blue detailing on these frames and the intricate metal decoration on the temples. The cat-eye design is super flattering and will instantly add some glamour to your look! Square sunnies are really in fashion at the moment too, and are a great staple piece to have in your wardrobe. Gergana has teamed her pair with some distressed ripped jeans, a black bardot style top, and a cute black shoulder bag. 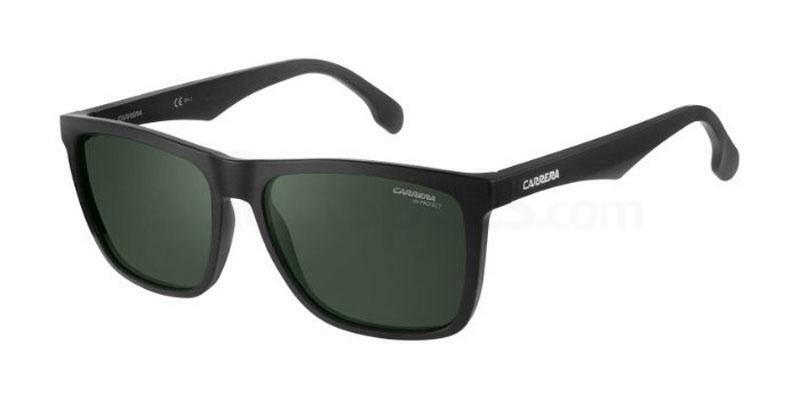 Get the look with the Carrera CARRERA 5041/S. These black framed wayfarer sunglasses are a very flattering and stylish shape and would serve you well for years to come!